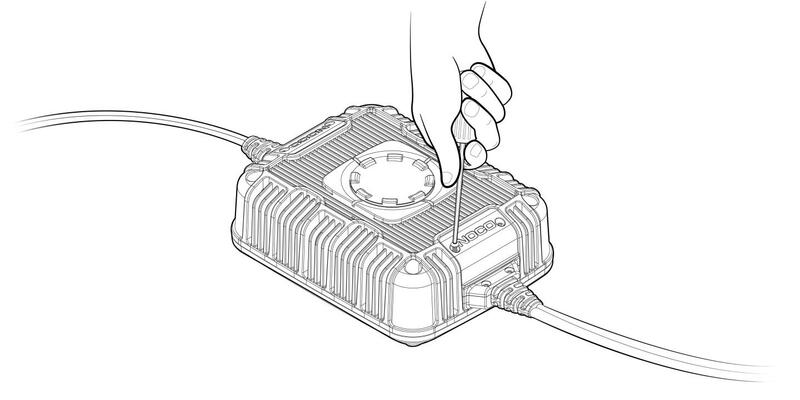 Read below for a guide on installing custom cables on the NOCO GX Series Industrial Chargers. Using an allen wrench, remove two bolts which are holding down the red faceplate. 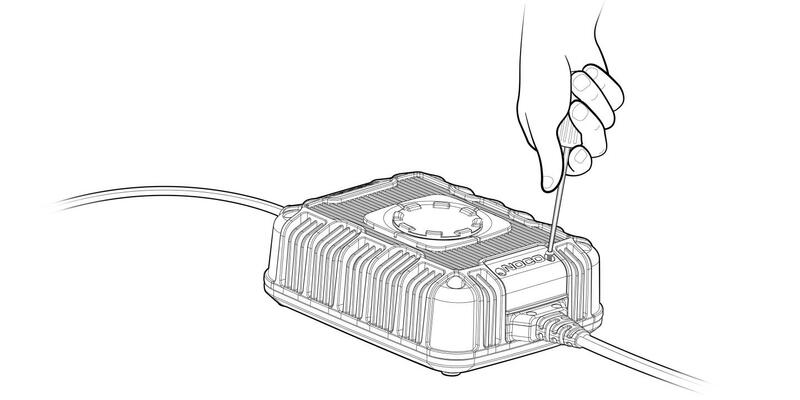 Using a philips head screwdriver, remove the negative (-) and positive (+) wires of the connected cable. Using an allen wrench, remove four bolts which are securing the black cable lock. Lock in the new cable using a philips head screwdriver. Be sure to connect the black wire to the negative (-) port, and the red wire to the positive (+) port. Using an allen wrench, replace the four bolts which secure the black cable lock. Using an allen wrench, replace the two bolts which hold down the red faceplate.